Behold, the very first image produced using my pathtracer! Each iteration took about 15 seconds to finish. Currently the renderer is in a very very basic primitive state. 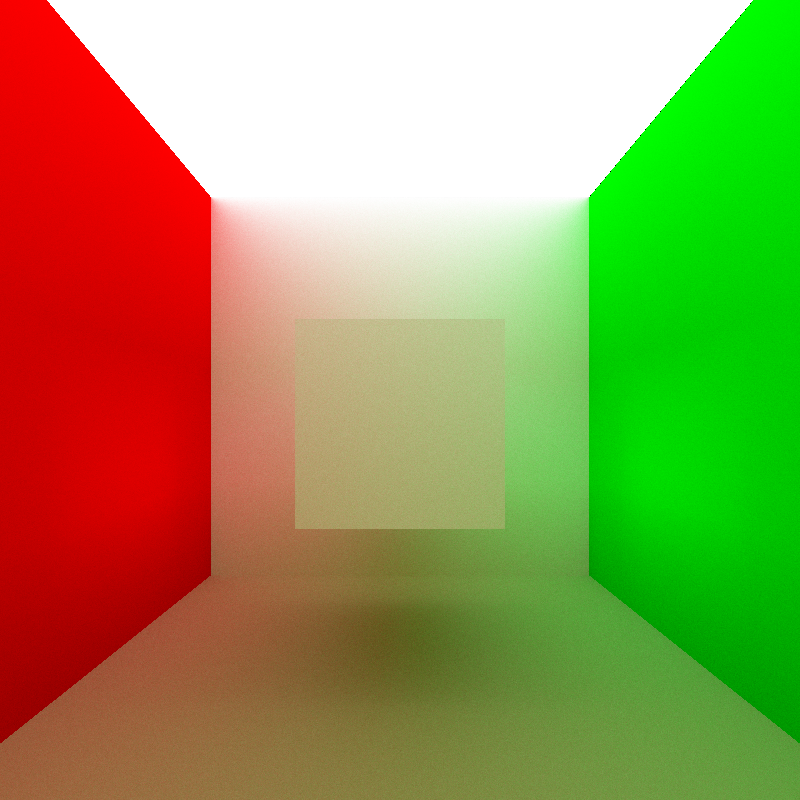 Instead of extending my raytracer, I’ve opted for a completely from scratch start. The only piece of code brought over from the raytracer was the OBJ mesh system I wrote, since that was written to be fairly modular anyway. Right now my pathtracer works entirely through indirect lighting and only supports diffuse surfaces… like I said, very basic! Adding direct lighting should speed up render convergence, especially for scenes with small light sources. Also, right now the pathtracer only uses single direction pathtracing from the camera into the scene… adding bidirectional pathtracing should lead to another performance boost. I’m still working on rewriting my KD-tree system, that should be finished within the next few days. 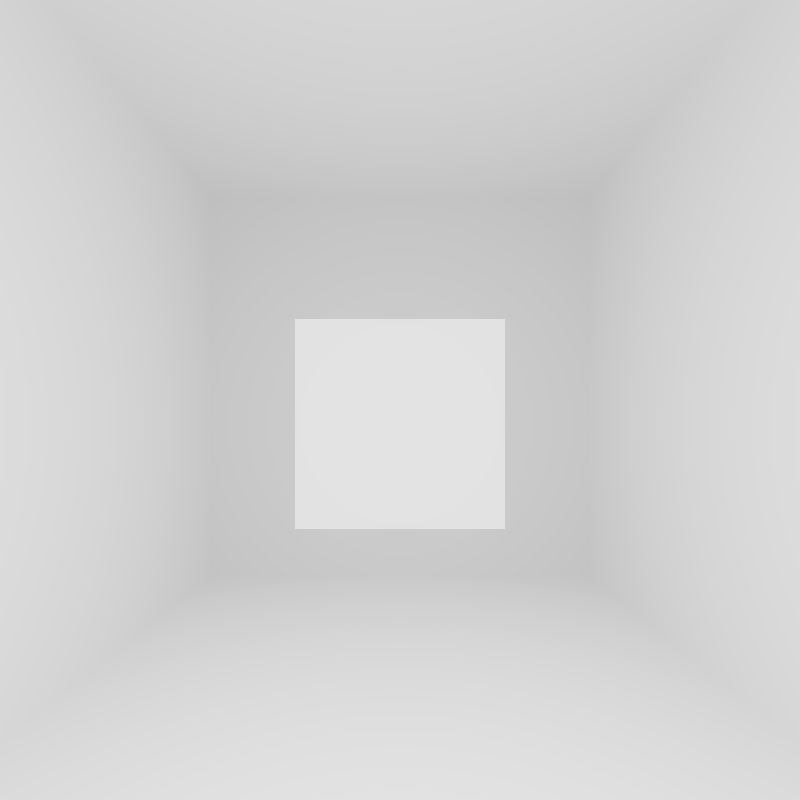 Something that is fairly high on my list of things to do right now is redesign the architecture for my renderer… right now, for each iteration, the renderer traces a path through a pixel all the way to its recursion depth before moving on to the next pixel. 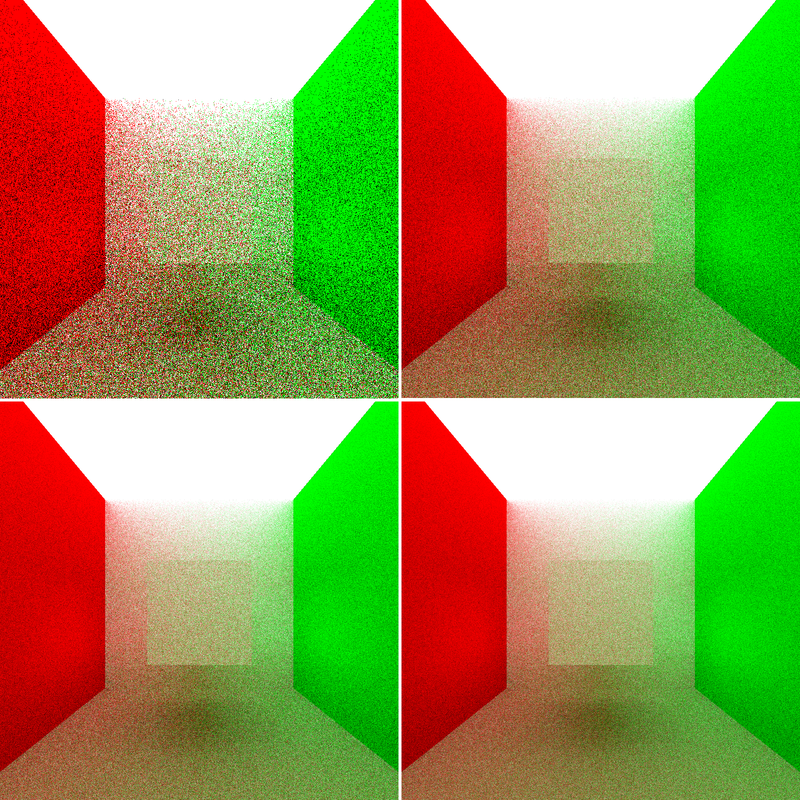 As soon as possible I want to move the renderer to use an iterative (as opposed to recursive) accumulated approach for each iteration (slightly confusing terminology, here i mean iteration as in each render pass), which, oddly enough, is something that my old raytracer already does. I’ve already started moving towards the accumulated approach; right now, I store the first set of raycasts from the camera and reuse those rays in each iteration. Okay, hopefully by my next post I’ll have the KD-tree rewrite done!